That’s a question many folks with elderly parents face as Alzheimer’s looms in the future for many of them. 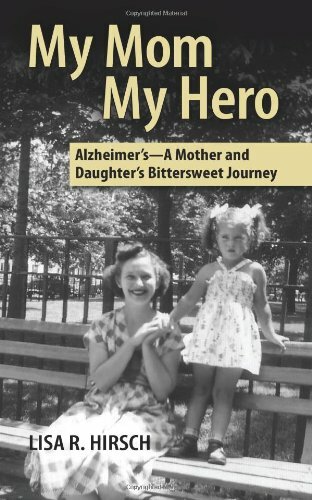 Sometimes I find myself thinking about the final weeks and months of my mother’s battle with Alzheimer’s. Despite all that we’d been through during our lifetime of Alzheimer’s, this became one of my biggest fears. During this week of reminiscing about Mom–I’m including a repeat of a previous post discussing the fear that we all have if our mother has been diagnosed with Alzheimer’s. My biggest fear when Mom was diagnosed with Alzheimer’s was that she would forget me. I didn’t think I could bear to see her eyes hollow, void of memory about me, her only daughter. Could I watch as she forgot the love we’d shared for all of my life. 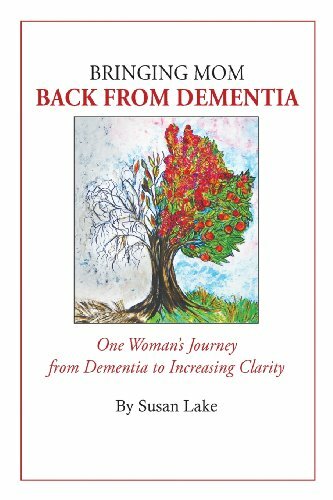 I thought I would surely die from a broken heart, myself, if her diagnosis of Alzheimer’s broke the bond between us. Unless you’ve dealt with Alzheimer’s yourself, the emotional pain and fear of losing contact with a mother, father, child or other endeared loved one while they’re still living is unimaginable. Soon after Mom’s diagnosis, I vowed to make such an impact on her life that she could never forget me. No matter what stage of Alzheimer’s, I’d force her to remember me. Of course that’s totally unrealistic but I thought it all the same. In the beginning, we talked for hours, shared photos and stories. Mom happily reminisced about her grandparents, that I never knew; and my grandparents who had been gone for many decades. Like an impenetrable wall, we buried old memories beneath layer after layer of brand new memories that would surely withstand the onslaught of Alzheimer’s. We denied the inevitable, until the passage of time forced us back to reality. Mom raged when it came time to take her car away. She had promised not to, she had sworn the disease would not overtake her common-sense. But cognitive decline happens, no matter how hard you fight against it. And eventually I needed respite care as much as my mother did. Yet Mom had not forgotten me, she kept that promise. She knew my name and cried out to me often. And I was grateful. The glint in her eye was familiar and “telling.” I was her daughter and she knew me. The day she spoke of her own father and asked who my father had been, I was heartbroken for only a short while. She still called me her daughter and looked at me through eyes of love. Yet, as she used the word “daughter,” I noted a different meaning, somehow. She spoke as though I was one of many, as though I was not her only daughter. To Mom, there were many “daughters,” daughters who often visited the Group-Home where mom now lived. Almost every resident had their own personal “daughter.” And Mom had one too–me. The “daughter’s” were kind souls who massaged the resident’s hands and feet with lotion, clipped toe nails without nicks, brought new clothes, gifts and goodies on special occasions, and sweet things to eat almost daily. Each resident loved their “daughter” as much as Mom loved me. The full impact of my disappearing identity finally settled-in when Mom began to ask new questions about my heritage; who were my parents? where was I born? where did I grow up? All things she had remembered well only the year before. She did not know now. I was her first born, her only daughter. She could not forget me– But she had. Mom’s condition progressed until her eyes dimmed, happiness fading to a questioning stare on most days— before I began to accept the truth. The horrible thing that I had denied for so long. She told them I was always there for her. She said I was the nice lady who brought her coffee when the nurses refused. Who held her hands when they were cold and shaking. She remembered that I brought wide elastic bandages for her arthritic knee because the doctor refused to treat it any longer. Mom forgot the meaning of the word “daughter,” but she did not forget me! She remembered me until the night she passed away. 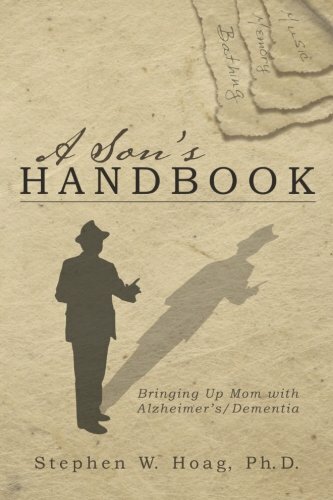 It’s a difficult time when a parent has Alzheimer’s Dementia, or any dementia. We often worry if they will forget us and it’s a very disheartening feeling. Yet, we can adjust and know that they do love us in every way that they are able. Can you be a caregiver when your loved one with Alzheimer's lives a thousand miles away? The article about “will my mother forget me” touched me so deeply. I lost my mom six years ago, but the pain of not having her in my life hurts just as much as it did six years ago. My mom past away from something other than Alzheimer’s, and I cannot imagine having to cope with her forgetting who I was. This story made me think about my daughter, my only child, and the very strong bond that we have. 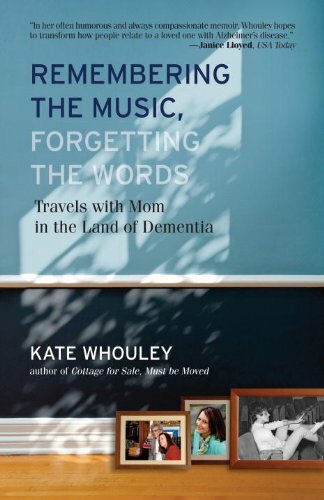 I could relate to the story because I never want my daughter to forget my mother, her Grammy… My daughter was four when we lost my mom, and she is now ten….and still I will ask my daughter to remember what Grammy looked like…. I ask my daughter what her Grammy would say when we went to visit…. My beautiful daughter says,”come here and give your Grammy a big hug and kiss.” I can only hope we will always remember her, and each other……. Regina, I apologize for taking so long to approve your comment. I’ve been ill recently and away from the computer. I can sure “feel” for you. I still miss my Mom as well. It’s been almost 8 years since my Mom passed and I’m an older lady and I still miss my mom everyday. I think it’s wonderful how you are teaching your daughter to remember grandma with love by remembering her words. I do that a lot, reminisce about a conversations Mom and I had when she still had a complete memory. Yet, I have many sentimental memories when she had Alzheimer’s as well. I think our children she be reminded often to remember the good things of their grandma’s and grandpa’s. They remember where they came from with love. You are a wonderful Mom Regina and thank you for letting me know how the article impacted you life. It is Father’s Day here tomorrow and while I am not a fan of all these commercial holidays, it is something I love celebrating because it’s about my Dad and anything to do with him is worth celebrating. My Dad is the nicest human being I have ever met. He is kindness and generosity personified. He is also now an Alzheimer sufferer – but then all of us around him are sufferers too. What a cruel disease. To see a man who is so physically healthy, who has always looked after himself and stayed fit and strong, not be able to remember where I live (around the corner) or if I work, live alone, have dogs, etc. is heartbreaking. But I am also blessed that he has never shown the anger so many patients do and is still his kind, gentle self. Long may it last. I think it must be hell for any sufferer who realizes what is happening but it is true hell too for those who care for their ill loved one’s. I wish all patients had those special children to love and support them (as Jill Lindsay says above) because even if my Dad one day forgets who I am, I will never forget who he is – the most unbelievable Dad who has given me more than I could ever give him. Thank you for your posts and tweets, Sandy – not only are they informative but also a great support. And to read all the comments on this page – it’s nice to know none of us are alone in this very difficult and sad time. I have many years dealing with this debilitating disease, and my dear mother-in-law also suffers from it. The one thing that has always kept me going is the fact that they may forget who you are, but you will never forget who they are, and that is what is key to getting through this terrible disease, and making it out on the other side of it. Those devoted children who visit the nursing home, long after mom or dad has ceased being able to recognize them, who bring pretty flowers, and cover mom or dad up when they are cold. Those who try to coax mom or dad to eat a few bites, or hold the glass for them to drink out of, when they can no longer hold it themselves. Those who take picture after picture of mom or dad, to just have “one more” to remember them by. Those devoted, loving adult children, who will continue to visit the graves of loved ones, to put flowers on it, and pay their respects to the memory of those they loved….So even though mom or dad may forget you, rest assured that you will not forget them. Sandy, I’ve recently found you on twitter, and am relating strongly to your tweets and posts. Both of my parents were simultaneouly diagnosed with Alzheimer’s nearly a decade ago. I’ve written a memoir about my experience as their caretaker. It was heartbreaking to realize they no longer knew me in the last six to nine months of their lives. My mom died one year before my dad. After her death, Dad had no cognizance of their 66 years of marriage. Oh, I can only imagine how sad that would be to watch both parents decline at near the same time. I hope that it helped them in some way to have each other, though neither remembered much of current events. They do tend to keep long-term memory much longer and probably shared many very old memories. By the time my Mom was diagnosed my Mom’s second husband had recently passed away and she, also, had little memory of him within a year or so. Any memories they retain seem to be very very old ones from their youth. It makes it difficult for us as those memories of us are their latest and the first to go. It is indeed a horrible disease, perhaps more so for the caregivers than for the person with Alzheimer’s. I’m delighted to read excerpts from your story and I hope my readers will follow your blog as well. Thank you for sharing it with us. We all benefit from knowing what others have been through and we all try to learn and share here. Sandy, I have the same fear, that my mother will forget me. I pray that she never will, but I am still haunted with the thought that she will. I have vowed to make my mother’s life as happy as possible. She has always been kindhearted by nature and she continues to express such gratitude for the simpliest things. She remains very loving towards everybody, even strangers. She thinks everyone is a friend or family. Although, she is in denial of her condition, and totally unaware that her mental capacity, my brother and I travel this journey one day at a time. I really like your news articles and they are helpful as I try to learn more about this horrible disease. Thank you. What is Cognitive Decline? and Why does it Define Alzheimers dementia?